We are available for emergency and routine septic servicing. Routine septic pumping is the key to maintaining a healthy system. There is no way to avoid sludge build up, but regular servicing helps keep it at a manageable level, reduces the need for septic repairs, and helps to identify potential problems before they happen. Pumping frequency depends on many factors, but it's usually a good idea to perform routine pumping every 3-5 years. Give us a call to discuss your particular situation. We perform several other services related to septic systems including: septic location and excavation, riser installation, baffle replacement, and septic system inspections. TerraLift was designed as an alternative to replacing all or part of a septic system. It is more cost effective and less invasive than replacing a system. 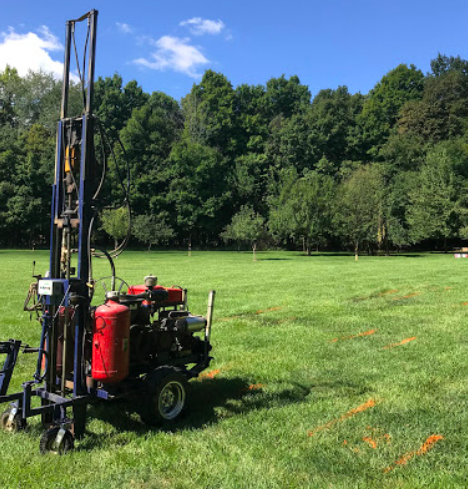 The TerraLift machine is used to pump air fissures or open veins of air into the soil so that the wastewater from the septic drainlines has a place to go. Much in the way that aerating is important for your lawn, the TerraLift machine pumps air pockets deep into compacted or oversaturated soil, allowing the wastewater a much larger area to dissipate. Immediately after the fissures are “blown” into the soil, a blast of tiny, polystyrene beads fills up the fissures, creating a permanent pocket of veins in which wastewater may travel. This action provides a lasting solution to the compacted, saturated septic drain field area.